When it came to digital imaging, the biggest stars of CES 2012 were Canon, Nikon, Fujifilm and Lytro. Panasonic, Sony, Olympus, Pentax and Samsung stuck to their current lineups on the show floor, but I know most of the lot will be unleashing new cameras within the next few months. Then there was Casio. Oh, Casio. The company unveiled two high-speed point-and-shoots equipped with mediocre specs that I’ve seen on mid-level compacts for the past three years. But I digress. Back to Canon, Nikon, Fujifilm and Lytro. All four manufacturers excelled with at least one game-changing model. Take Canon’s PowerShot G1 X, for example. Nikon’s D4. Fujifilm’s X-Pro1. And last but not least, the world’s first consumer light field camera, the Lytro. Now although the Lytro has been teased for many months, this was the first time we were able to get two hours of hands-on playtime with the mighty lipstick case. But instead of rambling like a rabid camera nerd, I’m going to break it down, company by company right now. Canon came into CES with guns a blazin’. The company announced the beastly point-and-shoot flagship PowerShot G1 X and DSLR flagship EOS-1D X on Monday, and later that evening they were flaunting both models at the Pepcom press event, where we got a hands-on look at the G1 X. 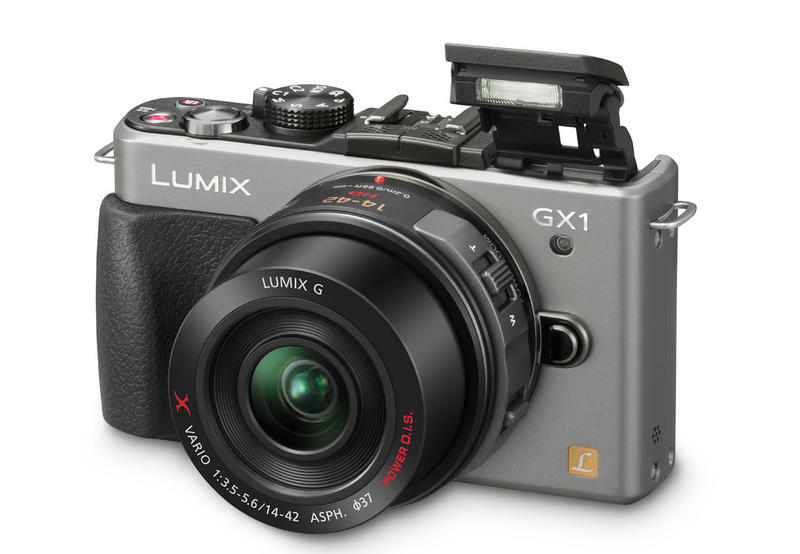 So what’s the hullabaloo surrounding the PowerShot G1 X? It’s just a follow-up to the PowerShot G12, right? Not quite. Up until the PowerShot G1 X, the largest sensor ever stuffed inside a fixed-lens point-and-shoot was Fujifilm’s 2/3-inch sensor, found in the X10 and X100. Canon tossed a mammoth 1.5-inch CMOS sensor inside the PowerShot G1 X, which is slightly smaller than an APS-C sized chip found in most mid-level DSLRs. This was a game-changing move, and one that will alter the point-and-shoot market forever. For years I have been asking manufacturers to stuff a larger sensor in a point-and-shoot body, and finally Canon listened. As a result, the Canon PowerShot G1 X has an expanded aperture range, better depth of field control and a 60-second shutter speed, compared to the G12’s 15-second cap. It’s a more professional approach to the compact camera, and it will force Nikon, Sony, Panasonic and the rest of the gang to start dabbling with larger sensors in order to stay competitive in the point-and-shoot market. One last thing: expect a few more members to join Canon’s point-and-shoot lineup within the next few weeks. It was all about the D4 in Las Vegas, and I’m not talking about another Mighty Ducks movie. The Nikon D4 represented the company’s creme of the crop DSLR, it’s also a prime contributor to the erosion of the line that separates camera and camcorder. The Nikon D4 can shoot 1080p HD video at 30/25/24 fps, 720p at 60/50 fps, which is quite a versatile format range. The D4 also has sound peaking meters for monitoring audio, and a pair of headphone/mic jacks. The D4’s HDMI terminal allows live recording of uncompressed video footage right on the spot, along with the ability to hook up an external monitor. The Nikon D4 promises an impressive low light performance with an expanded ISO range and seals the deal with illuminated buttons to aid shooting in the dark. After spending some quality time with the Nikon D4, I see no reason why this camera cannot be used to shoot a feature length film, and that’s where the future is headed. Expect DSLRs to truly challenge camcorders as time progresses. But for now, you can bet on Nikon updating their consumer-oriented point-and-shoot lineup very soon. Fujifilm has come such a long way in the past few years. I’ve reviewed plenty of mediocre Fujifilm models over the years, though one thing that always seems to be consistent is image quality. Fujifilm has the goods behind the lens, but the company’s awkward camera bodies and antiquated menus always left me wanting more. Then along came the Fujifilm X10 and X100. These are cameras that are receiving all sorts of accolades, thanks to their stellar image quality and advanced shooting features. But that wasn’t enough. Fujifilm announced the XS-1 superzoom here at CES 2012, which was everything I hoped the Fujifilm Finepix HS20 was when I reviewed it over a year ago. But then the company unleashed the formidable X-Pro1, Fujifilm’s first mirrorless interchangeable lens system camera in its history. Utilizing a DSLR-sized sensor and flaunting advanced manual controls, the Fujifilm X-Pro1 is deemed a professional camera that will suit street photographers and wedding documenters. For high-end point-end-shoots and mirrorless models, Fujifilm is rocking the Casbah, and I know the company has no plans to delay its output of high quality cameras. Keep your eyes on Fujifilm from here on out. We’ve known about the Lytro since back in October, but we were given an exclusive block of time to play around with it at the Wynn in Las Vegas during CES. This is the camera that allows shooters to refocus the image after capturing it, doing away with the need to focus the shot at all. This technology is called Light Field Photography, and the Lytro camera captures 11 million light rays of data per shot. The Lytro’s odd construction reminded me of an oversized lipstick case, but the camera was exceedingly easy to use. Its touch screen LCD was more responsive than any other touch screen camera I’ve ever seen as well. On the downside, the LCD resolution was a bit lacking and the Lytro was devoid of many manual controls including ISO, but that’s okay. A more robust model is set to ship later on in the year. 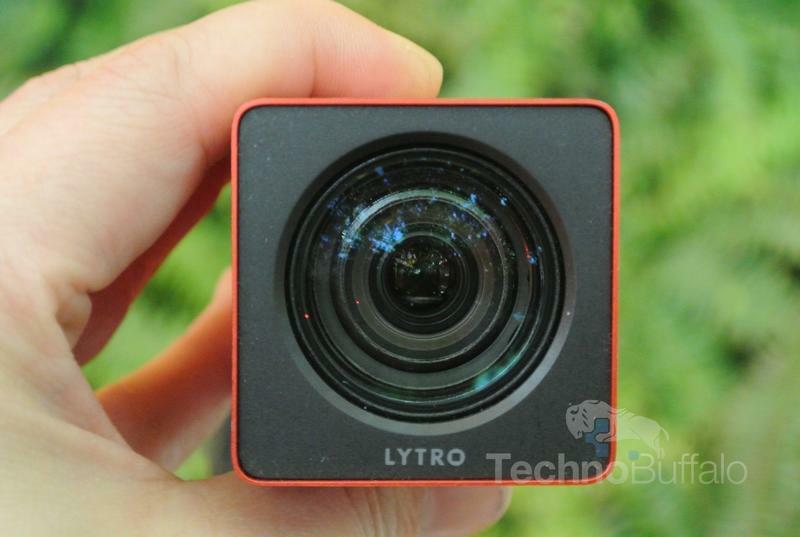 My prediction with the Lytro is that the camera will be a hit. I see Canon, Nikon, Sony and the rest of the gang delving into this type of technology within the next few years in order to stay competitive. Also, if the Lytro is successful, you can bet your boots we’ll see a light field DSLR someday and I might implode from the awesomeness of that sight. Although Pentax didn’t announce anything at CES, they showed me a top secret model that’s going to be unveiled within the coming weeks. All I can say is that you’ve never seen anything like it from a design standpoint. Pentax will also release a few more point-and-shoots, but those are top secret at the moment as well. I really like Pentax. I’ve never had any major issues with their cameras and image quality is consistent across the board. 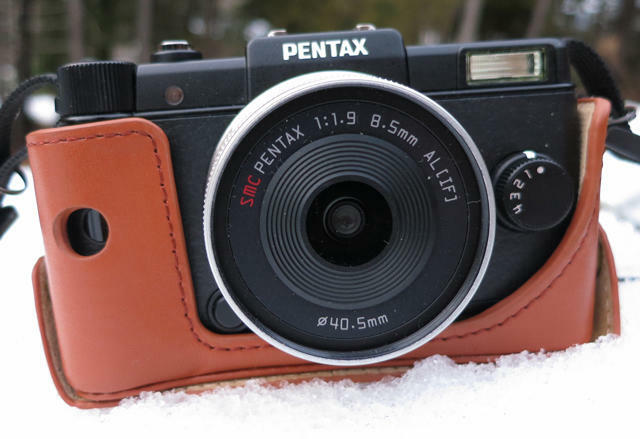 For the mid-level DSLR shooter, you can’t go wrong with a Pentax. I’m predicting good things from from this company and am looking forward to reviewing the new models as they arrive from Japan. Even though Sony didn’t announce any new digital cameras at CES this year, I feel like they didn’t need to. 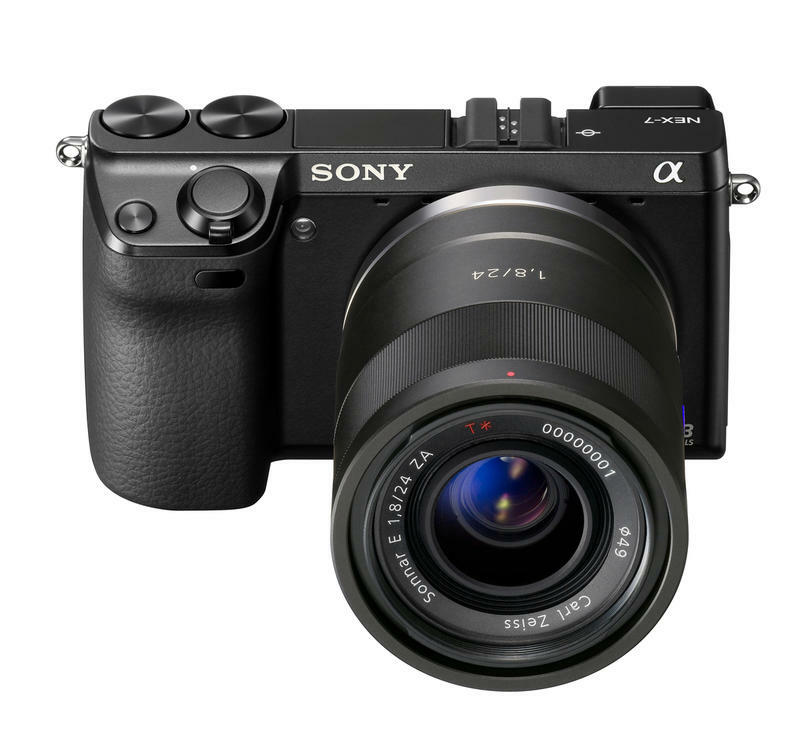 Their new mirrorless NEX cameras and Alpha DSLRs were just announced last Fall and they are faring tremendously in the prosumer market. I’m not a huge fan of Sonys when it comes to point-and-shoots, only because they’re geared more toward novice shooters, but I will say that the company’s HX100V superoom model knocks it out of the park for an all-around versatile snapper. What can I say? It’s good to be Sony. I predict more 3D involvement so Sony’s cameras can play nicely with the company’s Bravia family. Panasonic was in the same boat as Sony this year. Nothing new was announced camera-wise, so the company just showcased their most recent Panasonic Lumix DMC-GX1 and most of its mirrorless lineup. It’s not like Panasonic needs another mirrorless camera at this point in time, though. However, I do predict a refresh on the Panasonic’s point-and-shoot lineup within the coming weeks, as certain models are overdue. I also see 3D playing a big role in Panasonic’s future cameras, courtesy of the VIERA TV line. Olympus didn’t announce anything at CES either, and I missed my NDA meeting with them because I was a headless chicken running around trying to satisfy my looming schedule. One thing’s for sure. 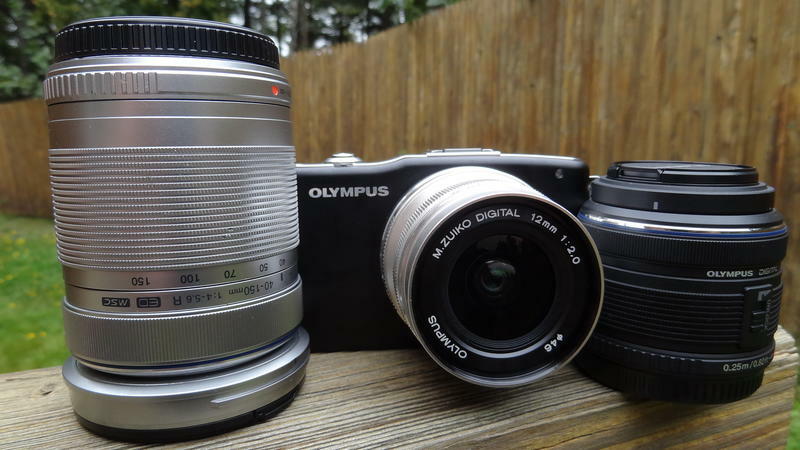 Olympus is kicking booty in the mirrorless market. Their PEN cameras are doing exceptionally well, and I can sense a model refresh coming soon. Olympus also offers the wonderful E-620 mid-level DSLR and advanced E-5 DSLR for those who want more than a pint-sized mirrorless can offer. But the company released the XZ-1 last year; a super advanced point-and-shoot that performed exceptionally well for taking still images. Unfortunately, the XZ-1’s video mode was lacking significantly, so I see an XZ-2 in the near future with a healed video mode. Maybe 1080p recording? One thing’s for sure; the XZ-1’s continuous auto focus needs a major retooling. Also, Olympus has never really excelled in the consumer point-and-shoot market. I’d like to see a model that could take on the Canon PowerShot S100 or Panasonic Lumix DMC-ZS10. We shall see! I’m not sure why Casio is stagnating to this degree. I stopped by the booth to look at two point-and-shoot models that could have very well debuted at CES 2008. The same menus, high-speed features, designs…the list goes on. 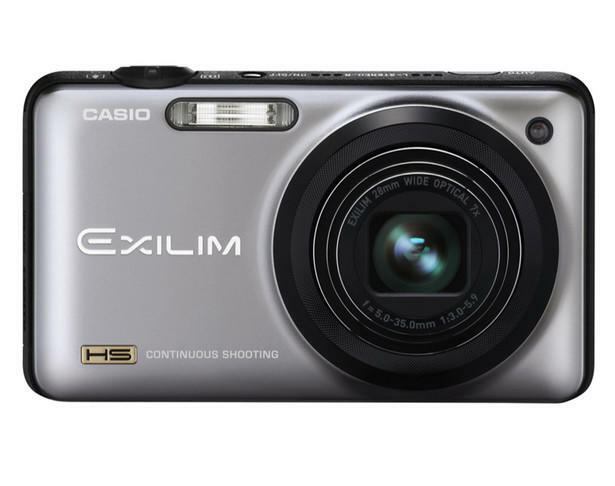 Casio needs a swift kick in the behind if they want to compete in the digital camera market. You read that right. Polaroid debuted a new line of point-and-shoot digital cameras at CES this year, though none of them made me tingle all over. This one is a crapshoot. Polaroid could rise to fame with the proper financial backing, engineering, product design and marketing. Or they could flop flat on their lens barrels and sink without making an impact on the already cutthroat digital camera market. Maybe some rich guy will keep them afloat so they can flounder amidst a sea of mediocrity, right next to Casio. Only time will tell. They did announce a pretty awesome 16-megapixel Android-powered camera phone, though.